Generally speaking, a small percentage of sales reps on a team are really at the top of their game, while new reps attempt to learn the ins and outs of the product or service and middle performers are either trying to improve their tactics or lack the motivation to reach the top tier of performers. Despite the inevitable differences, creating a team environment where sales reps at all levels can share their experiences, strategies and motivations can help fashion a team whose members benefit from the strengths of the group as a whole, while improving their individual performances as a result. Salespeople love talking about their wins. And heck, since they work so hard at it — let them be heard! Taking 5-10 minutes in the weekly sales meeting to let reps talk about their wins will give the whole sales team an opportunity to hear what’s working, ask questions and give winners the recognition they deserve. 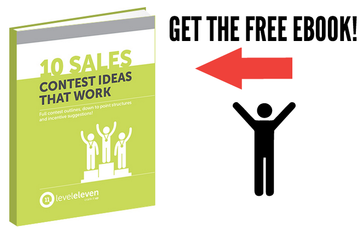 Do you ever find yourself with a great sales idea that you can’t wait to share? If you use Salesforce, resist the temptation to send out a team email email and post it to a “Sales Best Practices” Chatter group (check out this resource for more on Chatter). That way, you can get input from team members and encourage dialogue around your latest idea — and not to mention, avoiding having to search through your email some months later to find that great idea again. Salespeople love to compete, and it doesn’t have to be cut-throat to be effective. Competition should add excitement and motivation to the team dynamic while lifting performance. A great example of competition paying dividends is from Palace Sports and Entertainment (the Detroit Pistons ticket sales team), who ran a “Ticket Olympics” sales competition and named each sales team after a competing country. Teams earned points every time tickets were sold and earned gold, silver or bronze medals for their team’s country in the competition. Even though the competition occurred during the traditionally slow month of August, it resulted in an 18% increase in sales over the two Augusts prior — providing a nice bump in sales during the offseason. Team collaboration is an intangible that can make a big difference in sales team performance. While many sales managers likely believe that their teams should collaborate with each other or might not see any reason why they wouldn’t, as the leader, you should go the extra mile to ensure collaboration becomes a core value for your team by focusing actions around facilitating and rewarding team collaboration. You’ll see improvements not just in culture and morale, but performance results as well. Here are 3 ways you can encourage collaboration in your sales team, and improve morale and performance as a result!